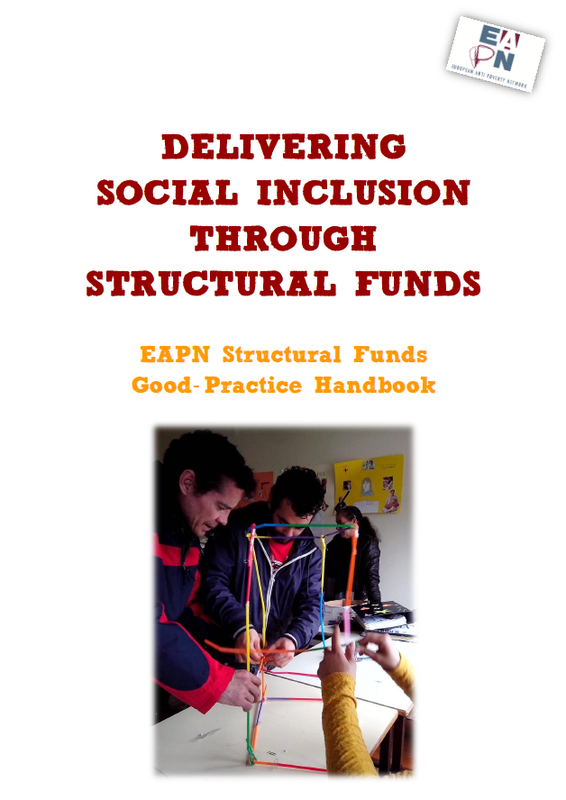 02/02/2015 - Delivering Social Inclusion Through Structural Funds is EAPN's latest handbook for NGOs on how to use Structurals Funds for social inclusion. Compiled by EAPN Members, it outlines EAPN’s guiding principles to assess a good practice of SF-funded projects on social inclusion and showcases examples of NGO-driven projects funded by Structural Funds under the previous funding round. Help NGOs understand the new opportunities of Structural Funds 2014-2020, to better promote social inclusion/ poverty reduction and to ensure a better involvement in Structural Funds’ processes. Provide tools for NGOs to build up a project that can match the new requirements of the Structural Funds’ Regulations 2014-2020 on poverty reduction and partnership, drawing on member’s experience from previous rounds.